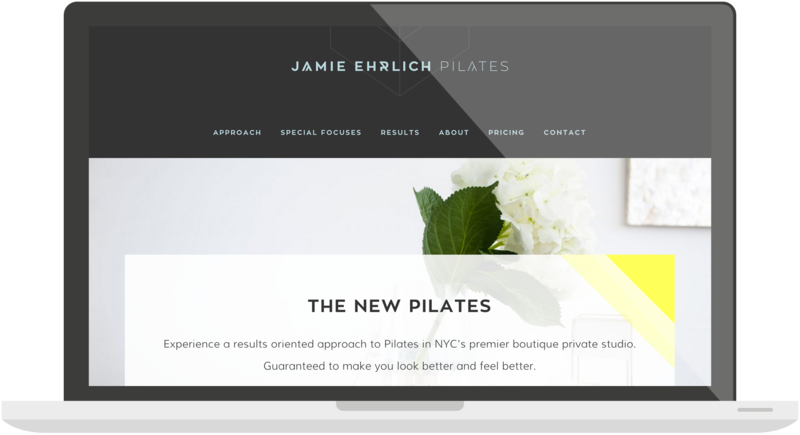 Jamie Ehrlich's boutique Pilates studio is a little oasis in the city. Her clients love the tranquil, private atmosphere - far from the feel of a gym or traditional Pilates studio. Her unique approach is winning her a strong following, and we wanted to communicate that uniqueness clearly with her branding. We chose a modern type with a twist - just like Jamie's studio. The responsive website gives potential clients all the necessary information in a way that is clear and easy to go through, with the ultimate goal of having them contact to schedule a session. 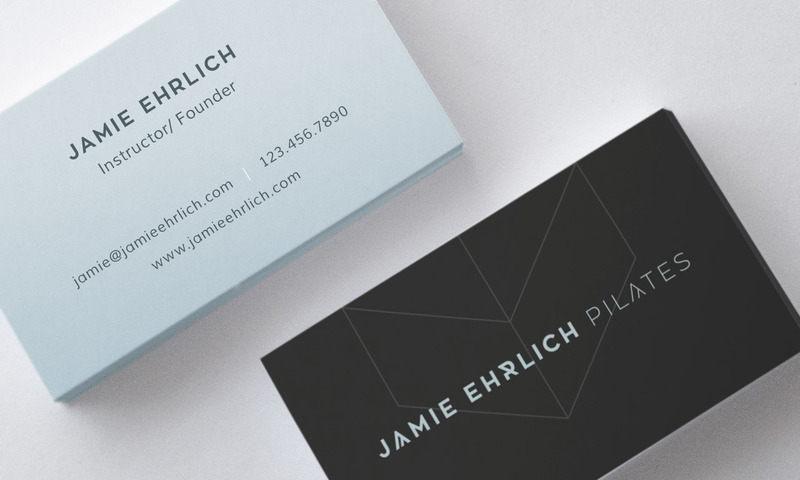 Her business cards are consistent with the modern, clean yet slightly funky look. "I get so many compliments on how beautiful and impressive my website is! Its a great feeling to send clients to a site I am so proud of. I needed a lot of guidance and relied on their expertise to help me make decisions. They took the time to get to know me and what I do and made sure my site was reflective of that. I would highly recommend them whether you are revamping your site or starting from scratch- they will make sure you are satisfied!"